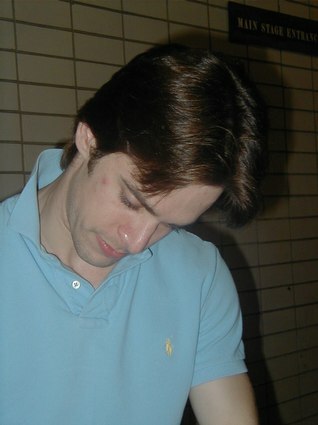 July 2, 2005, at Fiorello's, Broadway at 64th Street, NYC, 212.595.5330, over antipasto and wine, and July 9, 2005, at Europan, over iced coffee and fruit, a step up from the past three years of ABT Stage Door interviews, huddled within the sweltering stage door garage area. 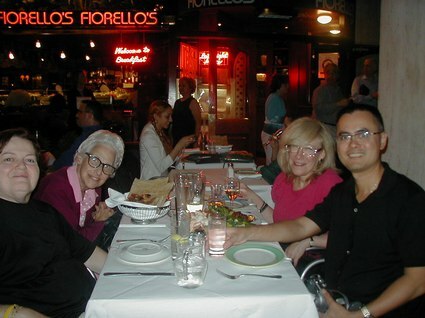 I was once again joined by Marianne Stegeland, Lois Kirschenbaum, Tommy Ng, and Adam Jagusiak. REZ: Well, this is an improvement. Good to see all of you again. First of all, let's just recap some late news I've been hearing. 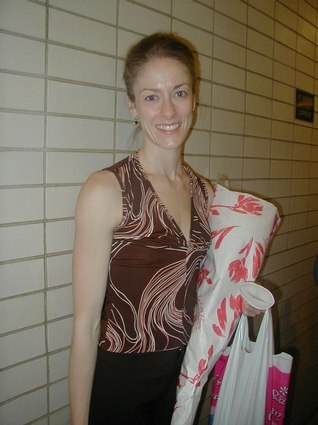 Group: Of course you know Michele Wiles was just promoted to ABT Principal. 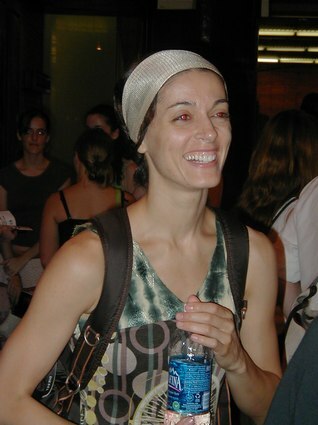 Marcello partnered her so well in Corsaire, and she was blooming and delirious with joy. Nina (Ananiashvili) is in Georgia working on ballet projects in her Russian homeland. Julie (Kent) was superb as Odette (Swan Lake), with the mist around as she expressed such sorrow. Angel (Corella) is so great this year. 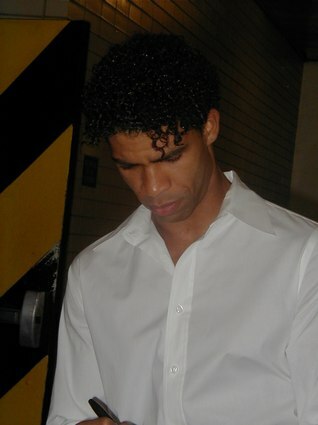 "I remember him as the gypsy in Don Q in his debut in 1995". 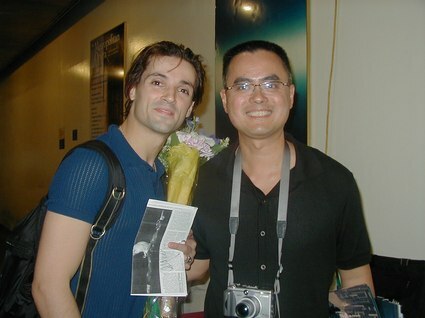 Joaquin (De Luz) is doing great as a new Principal at NYCB (was in ABT last year). REZ: Who else seems to have blossomed lately? Group: Xiomara (Reyes) is much more confident and at ease. She's effervescent. She's no longer doing just ingénue roles. 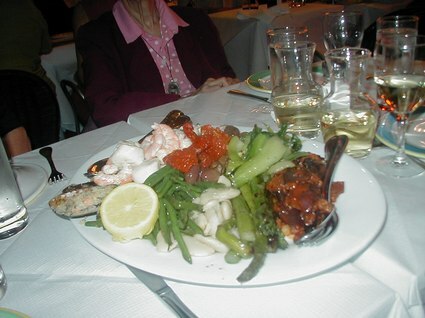 And, in Spectre de la Rose!! Of course, Gillian blossoms when Ethan (Stiefel) is onstage. José (Carreño) has become elegant, not just energetic. Then, there's Paloma's (Herrera) Odile (Swan Lake). We should put Julie's Odette with Paloma's Odile. REZ: Lois, you've seen the greats over the years. 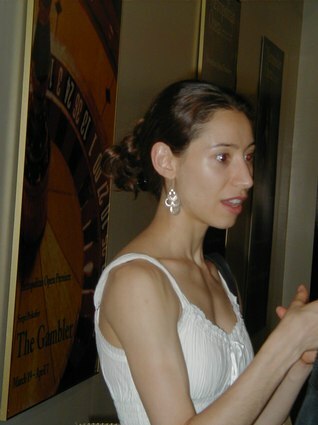 Lois: I saw Alicia Alonso in the Cuban National Ballet 7 years ago at curtain calls, Plisetskaya at the Met in one of the Russian companies, and Galina Ulanova three times in one night as The Dying Swan. They made her do it over and over. 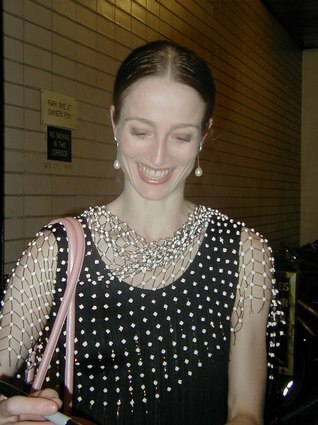 I also think about Melissa Hayden at NYC Ballet and the debut of Nureyev at BAM. REZ: Some more recent or upcoming ABT high points? Group: Craig Salstein dances with such great pantomime, like an opera buffoon, and of course there's Amanda's (McKerrow) farewell event (retirement). Irina (Dvorovenko) had a baby, Emma Galina, in March with Maxim (Beloserkovsky, husband). And, there's Julie's (Kent) son growing bigger, William Spencer Kent-Barbee (with husband, Victor Barbee). REZ: Here we are again, sitting comfortably at an outdoor café. A little reminiscing? Group: How about Baryshnikov's ABT debut with Makarova (Giselle, 1974) and Johann Renvall? How about every Romeo and Juliet with (Julio) Bocca and (Alessandra) Ferri? 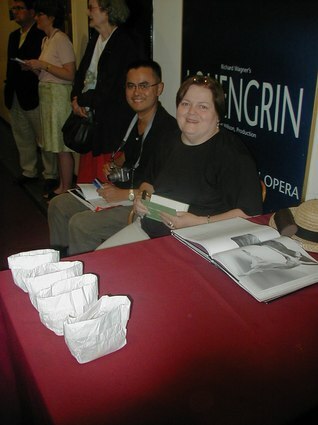 How about Eugene Onegin with Julie (Kent) and Robert Hill? Let's go back to Angel's (Corella) whirlwind gypsy in Don Q? How about every performance of Jose (Carreño) and Susan (Jaffe)? Soon we'll reminisce about Carmen Corella and Herman Cornejo's wedding, and how they've been literally flying. REZ: So, you collect and collect, signatures, playbills, toe shoes, photos…Where do you store all this year after year after year in a NY apartment? Lois: Two years ago, a friend helped me fix up my apartment. I have an entire closet for my collections, and I just save the program pages, no longer the whole playbills. I have a half-century of collecting , ballet, opera, classical. I just saw Jimmy Levine onstage at Tanglewood. He told me he'll sign for me next week. I have boxes full of programs. The old Met had very large programs years ago. Marianne: I have a rented storage facility for a lot of my collection and some of it in my apartment. I buy the shoes (toe) of each new member of ABT. I have 100 pairs of signed toe shoes. Several pairs are hanging on the wall on racks, like hat racks. I started going to the ballet with a friend in the 70's, starting with Baryshnikov. I stopped attending the ballet for several years, but I came back to ABT when I first saw Julio (Bocca) dance on a mixed bill. My other passions are cabaret and theatre. Tommy: In 1985 I came to NY from Hong Kong. 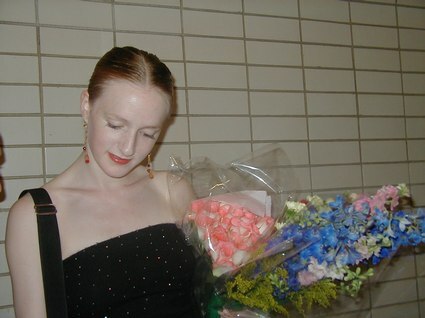 I started going to City Opera and soon ABT in the 80's and 90's. I remember Jose and Angel in 1995. Roberta: I have a dance collection of playbills, signed toe shoes, and old news articles in a scrapbook, dating back decades. I have some great reviews of late Nureyev, the Graham Company, Ailey, (Paul) Taylor, Paris Opera Ballet Anniversary, ABT 50th Anniversary, and, of course, signed shoes from ABT and some from NYC Ballet and smaller companies that I've known. 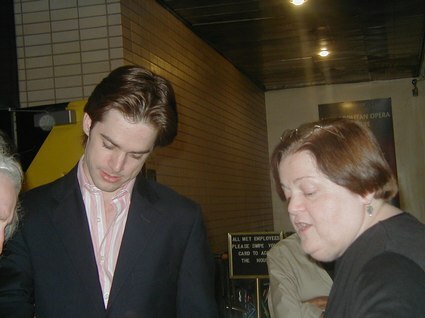 Adam: When I travel to Europe, I always see opera and ballet and save the center of the playbills. 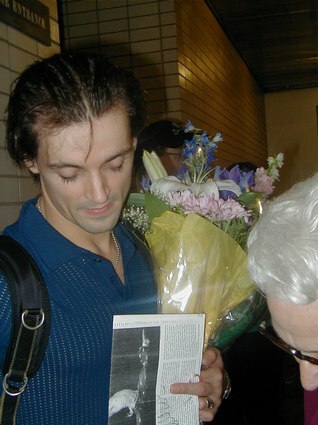 Group: I (Lois) remember Andre Eglevsky's last season at NYC Ballet and Eddie Villela dancing. How about the Peasant Pas de Deux in Giselle with Jose and Susan, and what about discovering Nina (Ananiashvili) in 1993? 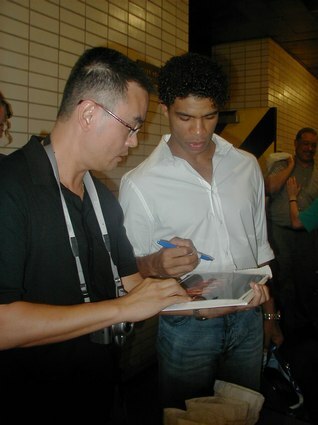 Did you know that José Carreño and Carlos Acosta both performed with the National Ballet of Cuba? REZ: And the corps and soloists? Group: The corps is strong, with Kirk Peterson as Ballet Master, and the Latin American influence gives the dancers flair. The Russians are more technically oriented, and the dancers from Latin America and Spain have genuine emotions and a connection with the audience. On the closing night of Don Q, Paloma (Herrera) and Julio (Bocca) were on cloud 9. REZ: So, we've survived a season without Nina. 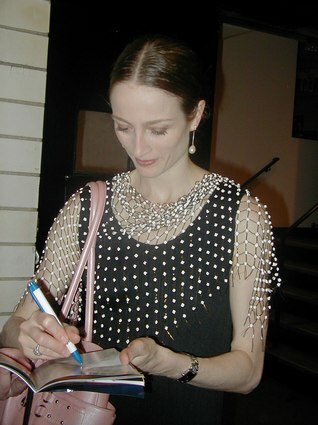 Tommy: Last year, with her back turned to us and her arms undulating, just like a swan (Swan Lake), I asked her that night at the stage door to take more time, not to be in such a rush to go offstage. She told me to come next time she was dancing Odette, and she'd have a surprise for me. Sure enough, she started in the middle of the stage this time and added ¹ of the stage with her arms undulating and her back turned to us, just like she promised. 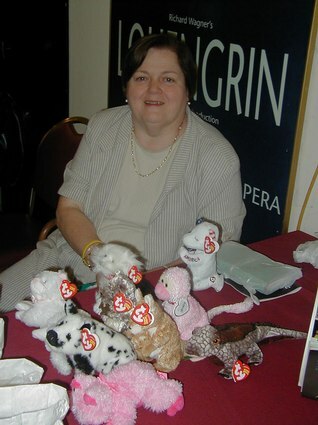 Marianne: One time Nina came to the stage door and counted the small crowd, very late, of ladies still there, and gave us each one of her bouquets! REZ: Thanks again, everyone. See you in October (ABT Fall Season).